Come and join us for an exclusive bridal catwalk and wedding fayre event. We have selected some of the best local wedding day suppliers to join us for an Evening Of Finesse. Our catwalk with realistic models showcasing bridal gowns, bridesmaids, flower girls, and page boys is going to be a showstopper. 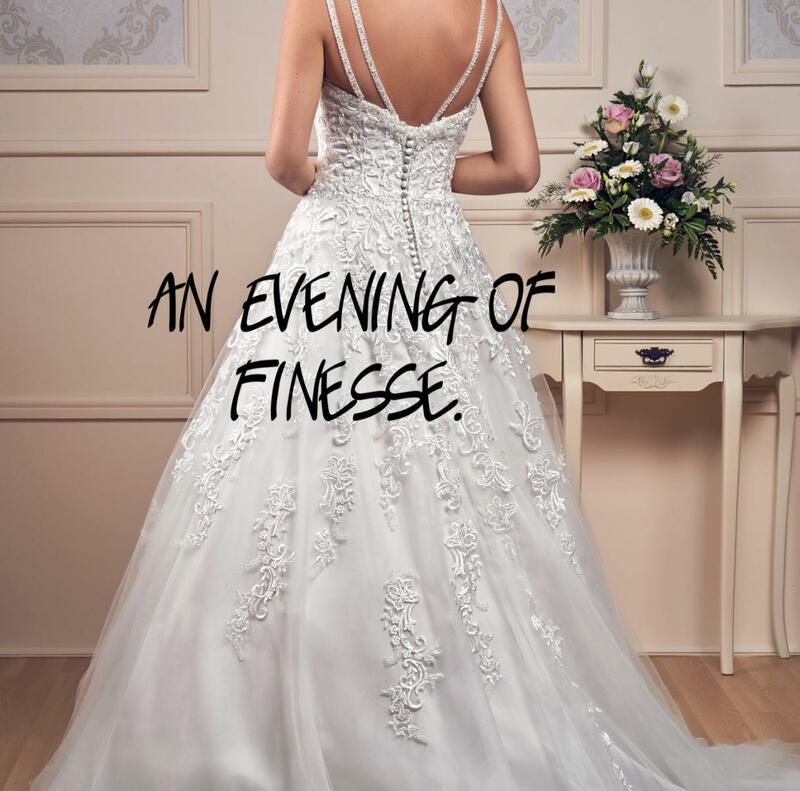 This is your chance to sit in a relaxed atmosphere and view our range of wedding day outfits and talk to local wedding experts to achieve your dream wedding day. Doors open at 5pm and the catwalk starts at 6pm. Entry is by ticket only and are just £10 plus a small booking fee, get yours here: http://ow.ly/1G0430mEc18.